While you are selling many eBooks, you are not doing as good as you would like to. Why not try to sell your work in another language? My mission is to help English writing authors reach new markets through the translation of their eBooks from English to Spanish. If you have an eBook in English, a translation to Spanish will allow you to reach the Latino community in the US and the whole Latin American market. Having your eBook in Spanish will allow you to tap into huge markets, both inside the US, and at a global scale. 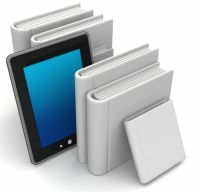 Simon & Schuster estimates that the Spanish-language e-books sales have increased between 300% and 400% in the past three years, while Amazon carries today more than double the number of e-books in Spanish that were available when their Spanish eBook store first launched in April 2012. You can read about these two facts in the Publisher’s weekly website. According to Wikipedia, Spanish in the US is only second to English, with more than 37 million people speaking it. There are more Spanish speakers in the US than there are speakers of Chinese, French, German, Italian, Hawaiian and the Native American Languages combined. Nielsen has recently published that by 2015, Hispanics will have $1.5 trillion in buying power. This represents a 50 percent increase from 2010! In fact, the economy of the Spanish-speaker sector is so big in the US, that the Hispanic consumer market in that country alone was larger in 2012 than the entire economies of all but 13 countries in the world. You are surely aware of the importance of Spanish in the US. In fact, most probably, not a day passes without you encountering Spanish on one form or another in your life. Why not start earning an extra income from your eBook in Spanish? You can review the services that I provide to enter this exciting new market as an eBook author.